Pale golden straw color. Aromas of straw and lime blossom with a round, dry-yet-fruity medium body and a polished, breezy peach iced tea finish with soft, fruit tannins and no oak flavor. A lighthearted pinot grigio for anytime sipping. Bottom Line: A lighthearted pinot grigio for anytime sipping. 86 • Amatore 2016 Red , Rosso Verona IGT 13% (Italy) $9.99. 90 • Amatore 2016 White, Bianco Verona IGT 12.5% (Italy) $9.99. 87 • Amatore 2017 Bianco, Verona IGT 12.5% (Italy) $9.99. 84 • Cielo 2016 Pinot Grigio, Delle Venezie IGP 12% (Italy) $8.99. 89 • Cielo NV Brut, Prosecco DOC 11% (Italy) $14.99. 93 • Cielo 2015 Appassionatamente Red Wine, Veneto IGP 14% (Italy) $15.99. 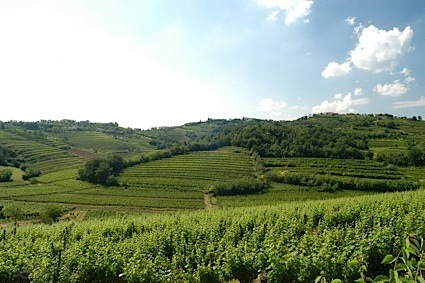 97 • Cielo 2013 Cent’anni, Amarone della Valpolicella DOCG 15% (Italy) $32.99. 88 • Cielo 2016 Rosé, Veneto IGT 11.5% (Italy) $8.99. 90 • Cielo 2015 Pinot Noir, Delle Venezie IGT 12% (Italy) $8.99. 93 • Cielo 2014 Cent’anni Red, Ripasso della Valpolicella DOC 13.5% (Italy) $16.99. 84 • Cielo NV Prosecco DOC 10.5% (Italy) $10.99. 92 • Cielo 2016 Pinot Grigio, Delle Venezie IGP 12% (Italy) $8.99. 89 • Cielo 2016 Pinot Noir, Delle Venezie IGT 12% (Italy) $8.99. 91 • Cielo 2016 Appassionatamente Red, Veneto IGT 14% (Italy) $17.99. 86 • Cielo 2017 Sauvignon Blanc, Tre Venezie IGT 12% (Italy) $8.99. 89 • Cielo 2017 Pinot Grigio, Delle Venezie DOC 12% (Italy) $8.99. 90 • Cielo 2014 Cent’anni, Amarone della Valpolicella DOCG 15% (Italy) $34.99. 92 • Cielo 2015 Cent’anni, Ripasso della Valpolicella DOC 13.5% (Italy) $18.99. 88 • Cielo NV Brut, Prosecco DOC 11% (Italy) $12.99. 88 • Cielo’s 2014 Casa Defra, Amarone della Valpolicella DOCG 15% (Italy) $34.99. 88 • Freschello NV Extra Dry Spumante Rosé, Italy 9.5% (Italy) $8.99. 89 • Freschello NV Extra Dry Spumante, Italy 9.5% (Italy) $9.99. 88 • Gran Maestro 2016 Red, Puglia IGT 14.5% (Italy) $16.99. 91 • Passaia 2016 Toscana Rosso IGT 14% (Italy) $15.99. 89 • Pradio 2016 Priara, Pinot Grigio, Friuli Venezia Giulia 13% (Italy) $15.99. 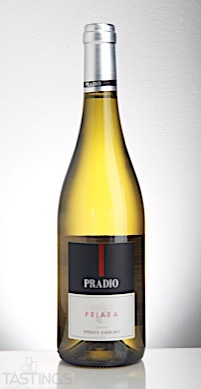 Pradio 2016 Priara, Pinot Grigio, Friuli Venezia Giulia rating was calculated by tastings.com to be 89 points out of 100 on 10/4/2017. Please note that MSRP may have changed since the date of our review.